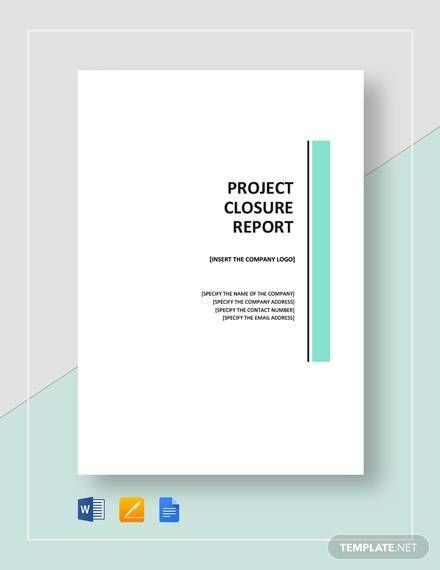 Project closure document /report is developed after project completion to define the success of project, either have achieved the objective as planned or not. 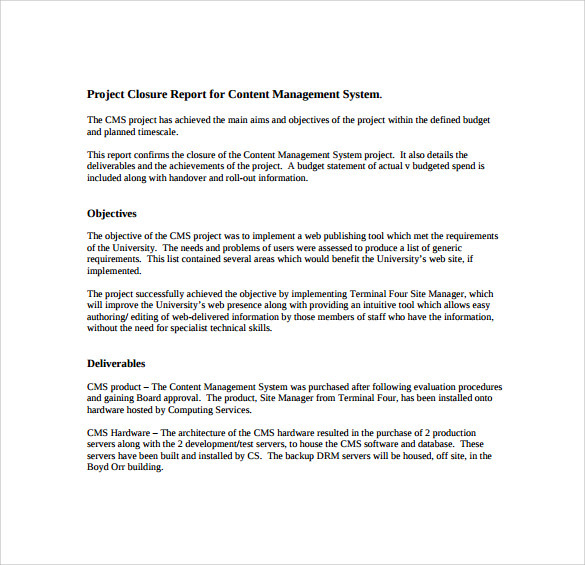 It helps future clients to give the overview about past projects. 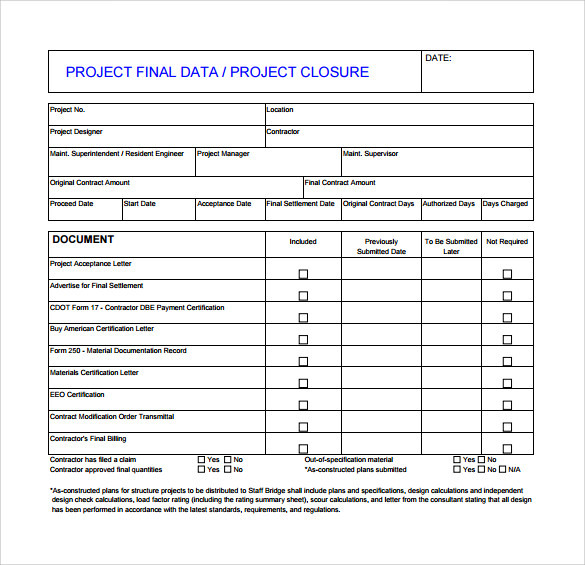 This is consider as a useful tool for ongoing improvement if project need to revise. 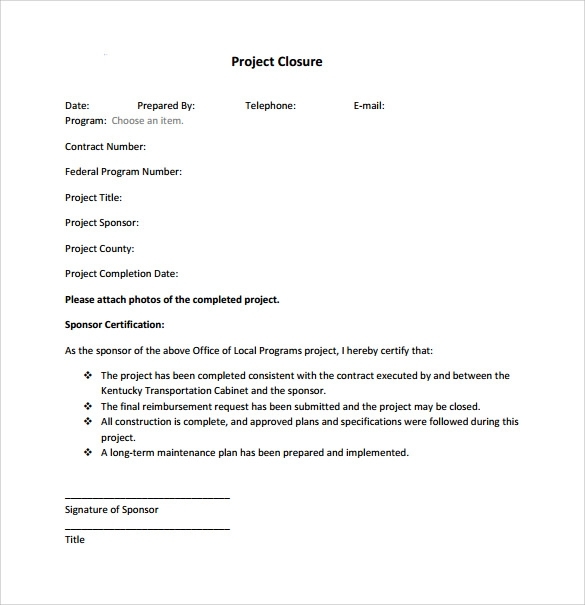 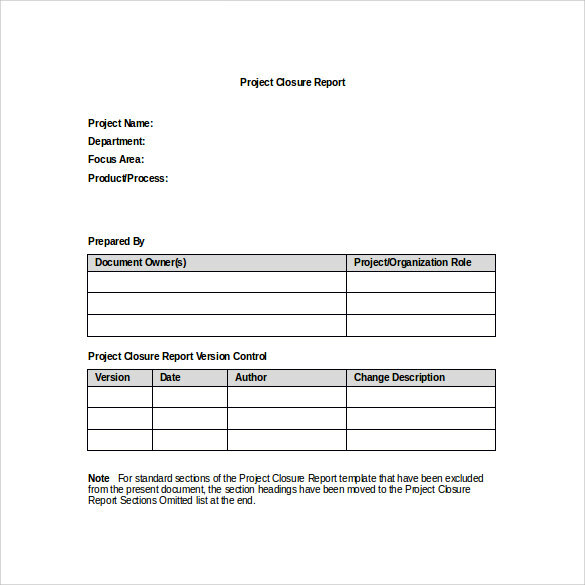 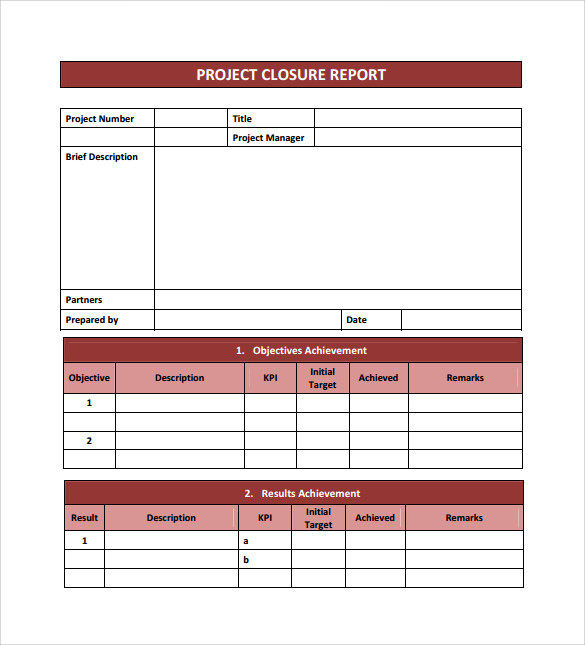 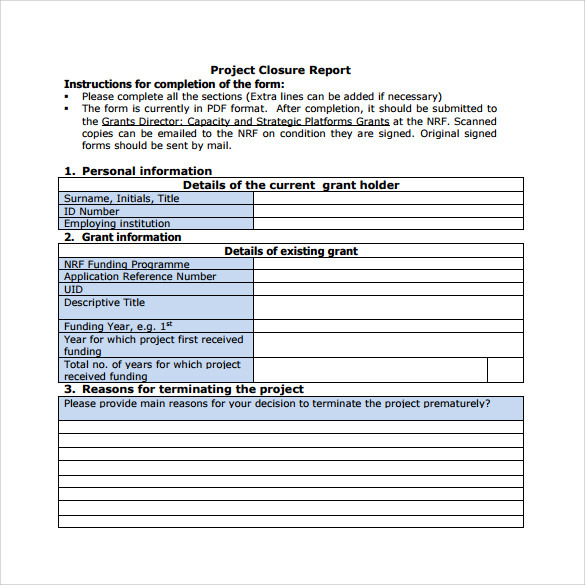 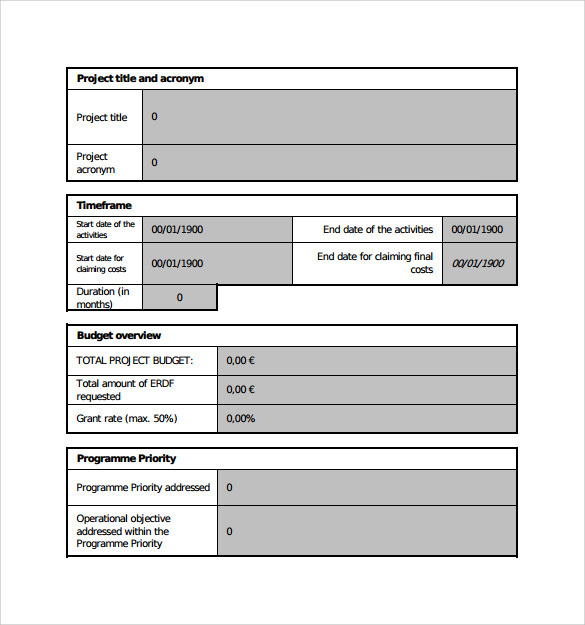 Project Closure Report Template help you to mention the success and output of your recent project within specified heading and frame. 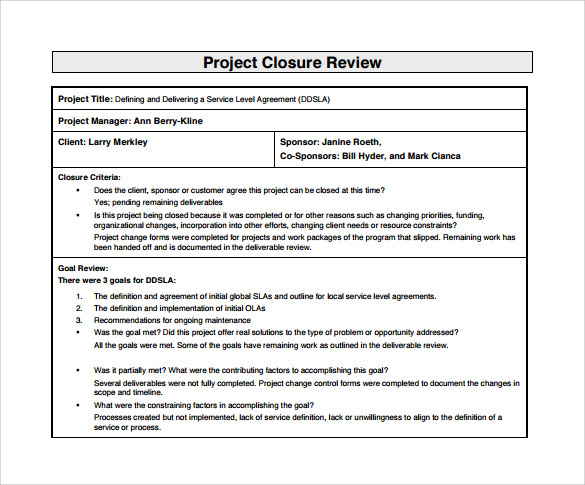 You mentioned upcoming issues, recommendation to take future action and the activities need to close the projects along with upcoming future details. 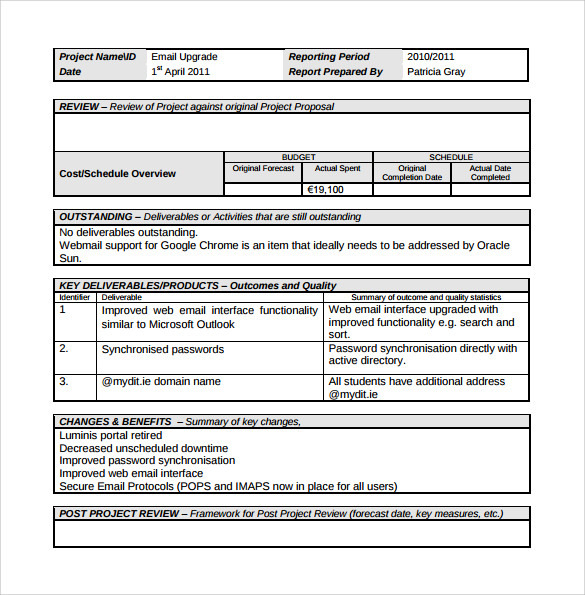 Many kind of templates available according to purpose.